It finally got closer to completion. 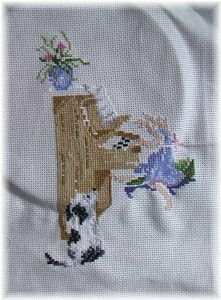 I’m going to have it, and it is only back stitch. 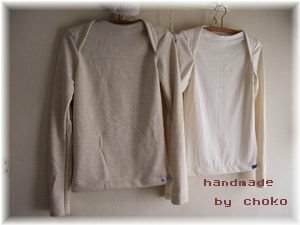 Because I wanted whitish plain tops, I made it. As for one piece, calico, one piece are fleeced insides. I lengthened length of a sleeve than a pattern. I wear all two pieces of them!! 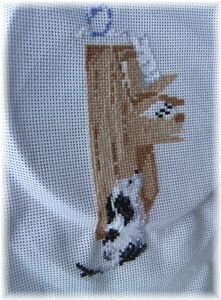 This time…seize width of tuck in a wide comb, and over stitch . 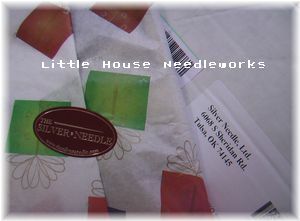 A load arrived from Little House Needleworks at yesterday!! Thank for my friend, Debby!! 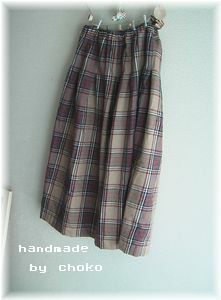 It is the kit which I bought a stitch for for the first time. I stopped on the way. Because I wanted to finish Halloween earlier. 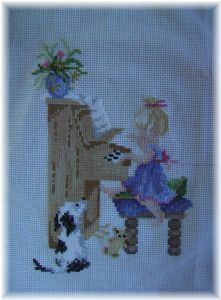 A piano and a dog were completed. Next is a girl.